The killing of a Canadian hostage by an ISIS-aligned terrorist group in the Philippines could have a chilling effect on the country’s growing tourism industry, experts on the region say. Canadian John Ridsdel was beheaded in the Philippines on Monday, after the expiration of a ransom deadline set a week ago by the militant group Abu Sayyaf. Ridsdel, fellow Canadian Robert Hall, Norwegian Kjartan Sekkingstad and Filipina Marites Flor were abducted by gunmen in September 2015 from the Holiday Oceanview Samal Resort on Samal Island near Davao City, which itself is on Mindanao Island. The kidnapping ran counter to the assurances of safety on the website for the resort, which claims to have round-the-clock security guards and closed-circuit TV. The recent events are a continuation of what Abu Sayyaf has been doing since the early 1990s and aren’t likely to stop any time soon, Zachary Abuza, a professor at the National War College in Washington, D.C., tells Yahoo Canada News. 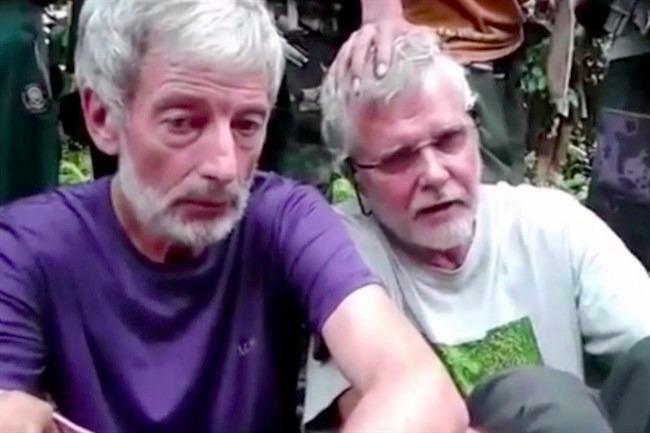 Canada is largely reliant on efforts within the Philippines to rescue the remaining hostages. But that’s a position Abuza doesn’t find reassuring. “The Philippine military has such limited capabilities I’m not even sure you want them to even try to do rescue operations,” he says. The region where the Canadian hostages were taken is off the beaten path for most who might visit the Philippines but is familiar to those following Abu Sayyaf, which has been operating in the country for about 25 years. The Mindanao region, from where the group of hostages including Ridsdel were taken, is not a major tourist destination in the Philippines, Abuza says. But Davao is an important port city for the country, and Abu Sayyaf has targeted tourist areas before with multiple kidnappings — some with fatalities — from resort areas in the Philippines and Malaysia. That’s a concern because tourism is an important and growing part of the country’s economy. The sector contributed 7.8 per cent to the country’s GDP in 2014, according to the Philippine Statistics Authority. Tourism earnings for the country for February 2016 were up 42 per cent compared to the year prior, according to the Philippine tourism department. Canada was the fifth most popular market in per capita spending, ahead of both the United States and Japan. And cruise ship port visits are expected to be up for last year compared to 2014, according to the department, and to increase again in 2016. But Canada’s travel advisory for the Philippines, updated on April 22, tells Canadians to exercise a high degree of caution in the Mindanao and Sulu regions of the country. Other countries have also issued warnings to those planning to visit the Philippines. The U.S. Department of State warns visitors to “avoid all non-essential travel to the Sulu Archipelago and through the southern Sulu Sea, and to exercise extreme caution when traveling to the island of Mindanao, due to continued terrorist threats, insurgent activities and kidnappings,” in a travel warning from October 2015. The United Kingdom advises that terrorist groups have the ability to target parts of the country that are popular with tourists including southern Palawan, southern Negros and Siquijor. And Australia tells its citizens to exercise a high degree of caution in the country, and to avoid central and western Mindanao and the southern Archipelago. But Canada is far from the only country with hostages being held in the Philippines. “People forget that right now Abu Sayyaf is holding 24 foreign hostages,” Abuza says. There are a few who are Filipinos themselves, including the woman held with the group that included the Canadians. Another 18 are Malaysian or Indonesian, Abuza says, and the situation in the Philippines is a continuing source of concern for both those countries. “The Philippines are once again seen as a weak link in the region, as ungoverned space,” he says. That perception is particularly worrying for the country as their May 9 presidential election gets closer. Candidates have already condemned the killing of the Canadian hostage, Busza says, as has Prime Minister Justin Trudeau, who called Ridsdel’s killing “cold-blooded murder” in a statement on Monday. But while the threats are real in some parts of the country they don’t reflect the entirety of the Philippines, Busza says, a beautiful country with a lot to offer visitors. “It will also be important to ensure that people do realize that the Philippines is a big country, and there are other parts of the country that will be more secure,” she says.